Fintech provider Fraedom, acquired by Visa earlier this year, and US-based financial services company UMB Financial Corporation have announced a partnership that will enable UMB to develop a full suite of card services, including expense and card management, reporting and a mobile app, to support its business customers. 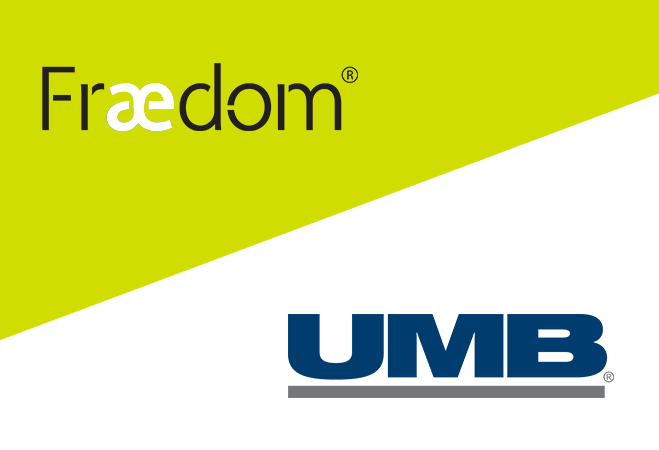 In the first phase of the partnership, the two companies will work together to migrate UMB’s existing commercial card customers from two separate legacy systems onto Fraedom’s own advanced card technology platform, which will be ‘white-labelled’, enabling UMB to deliver an improved experience and enhanced product offering to its customers. Uma Wilson, executive vice-president and director of product management at UMB, said: “Partnering with Fraedom will enable us to bring significant benefits to our business customers across the US. Our new suite of commercial card services will enable them to achieve enhanced operational efficiencies and help ease customers’ day-to-day needs. Highlighting the broader implications of the partnership and the benefits banks can achieve from adopting a fintech-focused approach, Kyle Ferguson, Fraedom CEO, said: “This partnership is a great example of the way banks can differentiate their services and stay competitive in the face of ever-evolving market demands. Subsequent phases of the partnership will focus on continuing to focus on elevating user experience and delivering upon use. The two companies already have plans to develop and launch a new mobile app, targeting a launch among UMB’s existing customers in the first half of 2019 to create a mobile first user experience that will complement the existing browser-based platform.